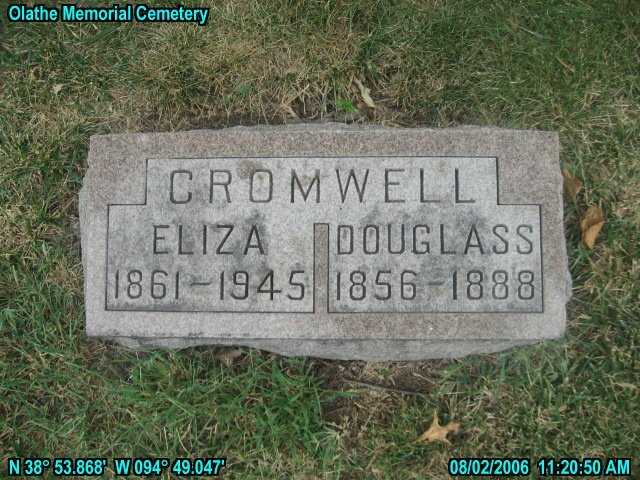 Douglass Cromwell died after a brief illness on Thursday morning last, and was buried in Olathe cemetery the same afternoon. Douglass was a good citizen and leaves many friends to mourn his untimely taking off. Please share your memories of Douglas.